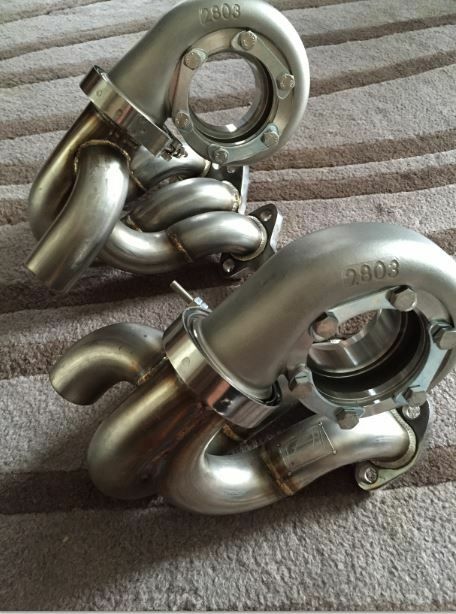 The manifold used in our popular v-band twin turbo kits, is now available as an individual piece for those that want to build their own v-band kit! 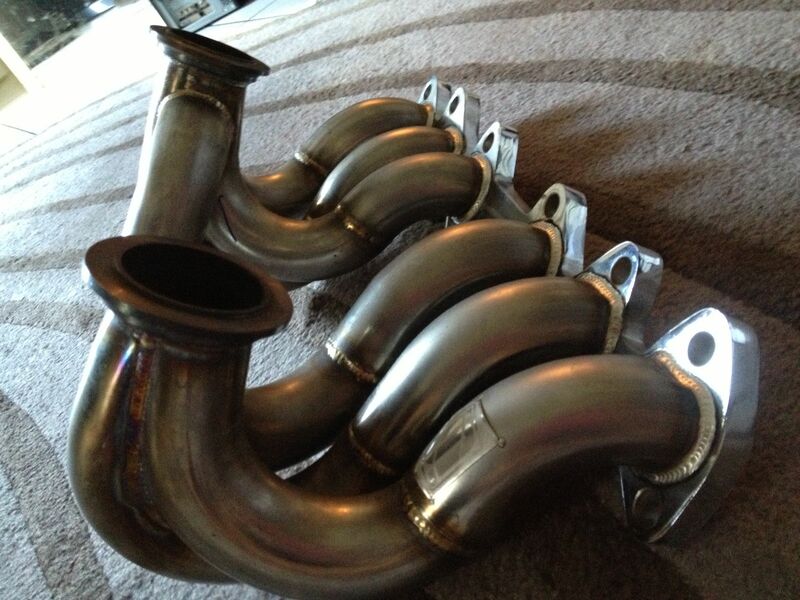 Custom built in a jig by us using our Pro Series manifold design theory (hundreds in the field around the world) is fabricated in stainless steel. For the twin manifolds the critical component is runner diameter and layout, as we need to consider that the air pump (engine) is only going to be 1.5-1.7 liters per turbo. Because of the design and limitations on engine size, yet with everyone's desire to make HUGE hp and torque, we feel this is the ultimate configuration for the Borg Warner EFR line of turbos. Feel free to call or email regarding your application. For those that love the Garrett GTX Series, as well as Forced Performance 3076R turbos, these are applications that will also produce very favorable results. 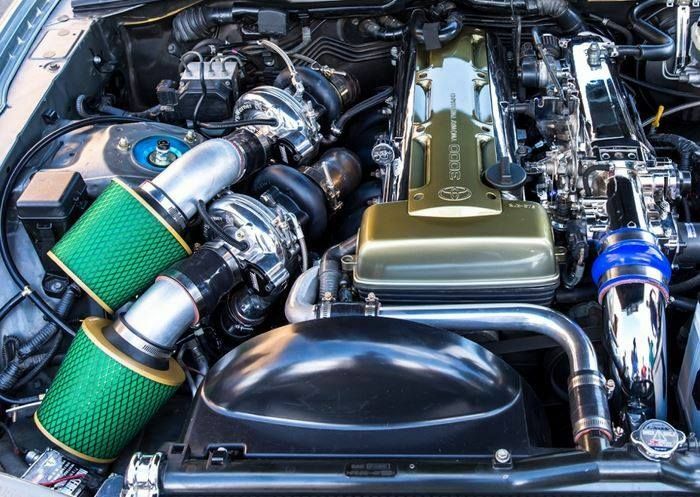 In all reality the manifold is designed to provide clearance to 67mm turbos (Precision 6766), so if you're dying to make 1600rwhp at 8,000 rpm (that is an option). This is the only dual v-band turbo mount manifold we know of in the world, so for those that want to move away from rectangular T3 or T4 flanges, to state of the art v-band turbo mounts, this kit is for you. You can choose a couple of smaller GTX or EFR turbos and make great torque and 750 rwhp or go larger. 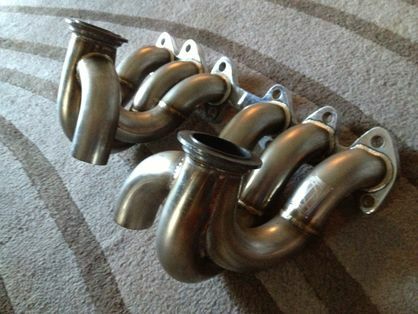 What is the perfect combo for this manifold? Knowing Supra owners, there is no perfect combo, but if I we're putting this on my 1998 QuickSilver 6 Speed, I would do twin EFR 7163 with external gates...in fact, that's exactly what happened! It might make 1000 rwhp and produce 750 lb/ft of torque to the ground! Dual gates, so you can configure any gate you want. The manifolds are built with an open tube design, so you can either weld-on your own waste gate mounts or have us do it for you. We used TurboSmart Compgate 40's with no fitment issues. Coatings are available, as well as global shipment. Fits all 2JZGTE configurations. Note: Photo with our stainless v-band housing is to show fitment. No v-band housings are included in the price. This will fit EFR turbos (as shown on our build making well over 700 HP), however you may need to machine the lip on the flanges flat for them to fit. This manifold will NOT fit the internally wastegated EFR IWG models in SC300/Supra chassis', due to location of the strut tower and the way the rear turbo's intake piping has to be routed.